When you are faced with residential or light commercial application that requires flexibility than the Structural FRP series is the pressure tank for you. 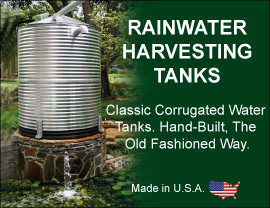 Easy to handle and install, our FRP tanks are available in standard polyester or chemical-resistant vinylester construction depending on your needs. Call toll free today: 1-800-655-9100 to speak to one of our friendly and knowledgeable Structural Pressure Tank Specialists.